As you know to access internet on you PC, Laptop or Mobile phone, you need to set the APN (Access Point Name). If you are using USB dongle then you can set the APN by going to settings-->Profile Management and on mobile you may get the Internet setting by SMS if not you have to set the GPRS/3G setting manually. 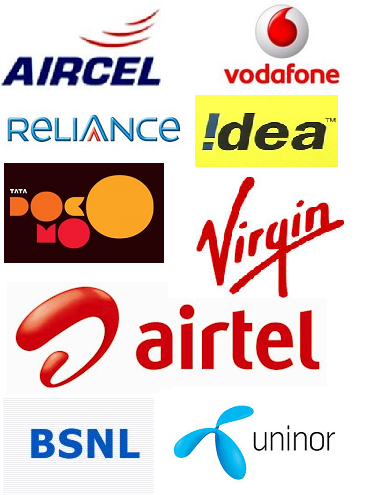 So here is some APN (Access Point Name) and Internet Settings for all leading Mobile operators in India. These are APN settings for data card and mobile phone. Whether it's a Windows phone or Android smartphone try these APN setting as per your Mobile operator and it will work fine. Some times the SMS setting will not reach you due to some technical issue, at that time you need to set the GPRS or 3G Internet settings manually and APN (Access Point Name) must be define, put the APN and access the Internet. In some Micromax 3G USB dongle the Auto Connect Option will not work on idea SIM card,today I taken one Micromax 3G Dongle (MMX377G 3G USB Manager) and it works fine but when insert idea SIM and trying to Connect it show an error massage (ErrorID=734. The PPP link control protocol was terminated.) in that case you have to do a manual profile setting to access Internet using Idea SIM card, the bellow is the manual setting for Idea on Micromax 3G data card. After set the Idea APN you can either select Auto Connect or Idea connection profile to access Internet. Thanks for posting this is very helpful for me.